Why Has It Taken So Long For Disney To Create A Black Princess? This week, the toys for the The Princess And The Frog were unveiled. Tony-award winning actress Anika Noni Rose will voice the main character, Tiana, Disney's first black princess. The movie, which is due around Christmas this year, is set in the "jazz age" in New Orleans. Oprah is the voice of Tiana's mother. Anika Noni Rose says of Tiana: "Not only is she the first black princess, she's the first American princess. We've never had an American princess. So, the scope and the significance is larger than people even realize." Uh, Pocahontas was American, though, right? In any case: Looking at this timeline of "Disney's multicultural royalty," something seems off. 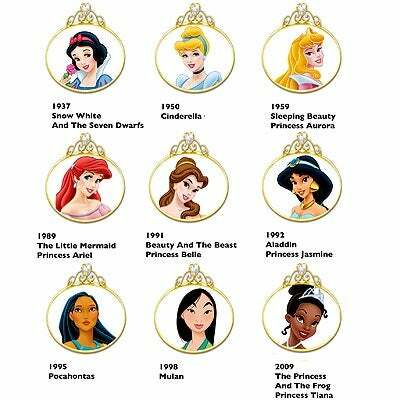 The "Princess" movies started in 1937 with Snow White, and the first non-white princess was Jasmine, in 1992. Then Pocahontas in 1995 and Mulan in 1998. More than ten years later, Princess Tiana, of The Princess And The Frog. Why did Disney have a Middle Eastern princess before a black princess? Or an Asian princess before a black princess? Sure, the Disney films tap into fairy tales, folklore and myths — most of which come from European sources — but there are plenty of myths and fables involving black people. American stories, tales from Nigeria, Egypt and South African/Zulu folk tales. Yoruba goddesses of love, Caribbean legends. Why has taken Disney 72 years to come up with a black princess? And will this movie — especially the toothless firefly character — insult, or uplift? Earlier: Why Is Disney's First Black Princess Such A Challenge?